When it comes to raising money, nonprofits of all shapes and sizes are constantly looking for new and innovative ways to increase the impact of their supporters’ contributions. For most organizations, this conversation centers around getting individuals to donate (and keep donating) to campaign after campaign. But, did you know there’s a way you nonprofit can boost your fundraising revenue without requiring your donors to make more gifts? Matching gifts fundraising is the best kept secret in the nonprofit world. While most organizations know about matching gifts, not all understand how this form of corporate philanthropy really works, or how to make the most of matching gift programs. Why are matching gifts important for nonprofits? How can matching gifts fit into my fundraising? What are matching gift tools? Bonus: Where can I learn more about matching gifts? For your next fundraising campaign, make the most of your community’s contributions by maximizing your matching gift potential. Let’s dive into these top matching gifts questions so your organization can get started raising even more for your mission. 1. What are matching gifts? First, let’s get right to the basics of matching gifts fundraising. Matching gift programs are corporate philanthropy programs offered by thousands of companies across the globe. In these programs, employers commit to matching donations their employees make to causes just like yours. Gift size. 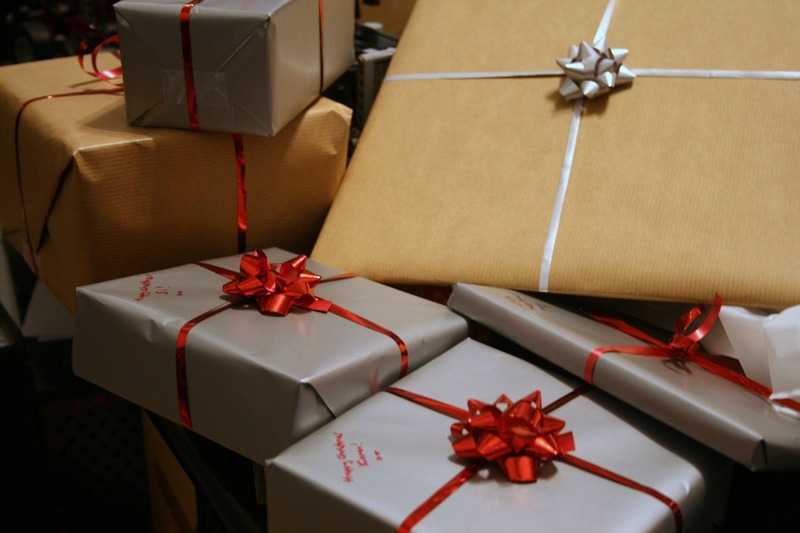 Most matching gift companies place parameters around the size of gift they’ll match for donors. Typically, the company will set a minimum gift size as well as a maximum gift level. Date of donation. After making their initial donation, donors will typically be limited by their employer in the amount of time they have to submit their matching gift request. Nonprofit mission. While most companies will match gifts to most nonprofits, some employers bar giving to certain causes (such as faith-based causes). Before submitting a matching gift request to their employer, a donor will want to conduct some research into their company’s guidelines to ensure that their contribution will be matched. Once a matching gift request has been submitted, your donors’ employers may match their initial donation at a 1:1, 2:1, or even 3:1 ratio. Since over 20K companies offer matching gift programs like these, your nonprofit is potentially sitting on millions of dollars’ worth of untapped matching gifts just waiting to be accessed. 2. Why are matching gifts important for nonprofits? At first glance, it’s pretty easy to see why nonprofits love matching gifts: essentially, it’s free money for your cause. However, there’s a lot more to the matching gifts process than simply accessing untapped revenue. In fact, incorporating matching gifts into your fundraising strategy can have wide-reaching benefits for your cause. Making your supporters feel like their contributions have a greater impact. Not all of your donors can give in large amounts, so accessing matching gift revenue can help make your supporters feel like their contributions go above and beyond for your cause. Continuing your relationships with donors after their initial gift. We all know how important it is to keep engaging with supporters after they make their initial gift. Steering donors through the matching gift process helps keep up the momentum of your relationship. Encouraging your donors to increase their initial gift amount. For some donors, seeing that their employer’s matching gift minimum or maximum is just a little bit greater than the gift they were planning to make can encourage them to raise their donation amount. Inspiring your supporters to give more frequently. Similarly, your supporters might choose to give more frequently if they knew their donations would always be doubled by their employer no matter when (or how much) they give. The bottom line? Because matching gifts make giving an easier decision for your donors, they’ll be even more likely to contribute to your cause when they’re introduced to the concept of matching gift fundraising. 3. How do matching gifts work? At this stage, your team is probably wondering how you can get the ball rolling with matching gifts. Luckily, the matching gifts process is quite simple and requires little effort on the part of your donors. Your team should get acquainted with all of the necessary steps in securing a successfully matched gift to ensure your supporters are maximizing their contributions as best as they can. First, a donor makes their gift. Before a gift can be matched, a donor must have already completed a gift to your cause so it can be verified by their employer. Next, the donor submits a matching gift request to their company. This will typically require filling out a form and submitting it to their HR department. After that, their company will review the official request to ensure that it meets their matching gift guidelines. Then, the company will reach out to your nonprofit to confirm that the donor gave in the amount reflected on their request form. Finally, the company sends a check to your nonprofit to complete the gift match. That’s it! Because this process requires no other action on the part of your donors other than submitting their official matching gift request, it’s incredibly easy to inspire your supporters to engage in this process. 4. How can matching gifts fit into my fundraising? If your nonprofit’s matching gifts strategy is limited to simply being aware that these opportunities are out there, then you’re not maximizing your matching gift potential. In fact, your team should think of ways to incorporate matching gifts into different areas of your nonprofit’s strategy, from your fundraising efforts to your marketing plan. Publish educational content on matching gifts. Many of your supporters are unaware that matching gift programs are out there, let alone if their employer offers one. Publish blog posts, infographics, and email newsletters introducing your community to the subject. Send out matching gifts reminder emails. Once a donor gives to your cause, set up an automated email message to remind them to submit a matching gift request. Be sure to schedule this to be sent after (or as a part of) your thank you message. Embed a matching gifts database on your donation forms/pages. Remind donors about matching gifts as they make their donation to your cause by embedding a matching gifts database directly on your giving pages and forms. Leverage matching gifts during annual fundraising. It can be tough to get donors to make a second or third contribution to your annual fund campaign. Instead, you might ask donors to submit a matching gift request to boost their annual fundraising impact. Promote matching gifts during year-end giving. Donors are more likely to give at the end of the year, so make this spike in fundraising really count! Market matching gifts to your year-end givers to ensure their matching gifts can be processed by the end of the year. Do any of these strategies sound right for your cause? As your team starts focusing more and more on matching gifts fundraising, consider ways you can help support your matching gift goals. 5. What are matching gift tools? Now that we’ve reviewed the ins and outs of matching gifts, it’s time to talk about matching gifts software tools. Matching gift software refers to any online tools designed to help your nonprofit generate greater matching gifts revenue. 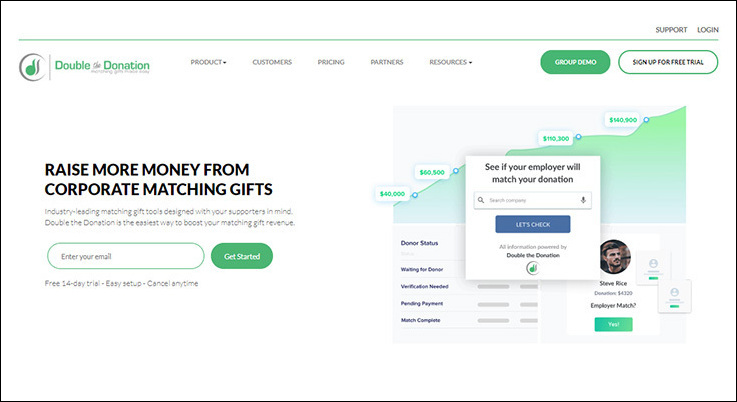 When your team has the right software on hand to automate and streamline aspects of the matching gifts process, you’re sure to start generating more matching gift revenue for your cause. Excited to learn what matching gift tools are out there? Let’s review our favorite software solutions. Double the Donation is a matching gift database tool. Using this company’s software, donors can enter in their employer’s name and learn a host of key matching gift information. With Double the Donation’s Basic and Premium plans, nonprofits can embed Double the Donation’s database directly onto their website as part of a customized matching gifts page. Double the Donation regularly updates their library of over 20,000 companies that represents more than 15 million match-eligible donors. This means that your donors will always have access to a robust and up to date matching gifts database no matter what. 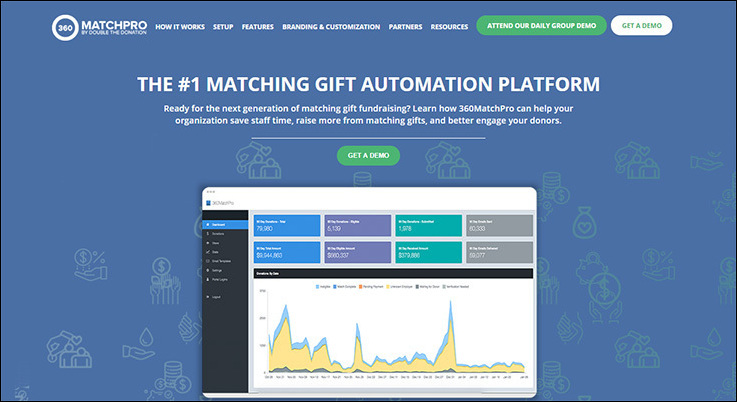 For larger nonprofit causes, consider investing in 360MatchPro’s unparalleled matching gift automation software. Larger nonprofit organizations can benefit from 360MatchPro’s automation tools to help ensure each and every one of their match-eligible donors secures a matching gift. The greater your matching gift revenue, the easier it is for some match-eligible donors to fall by the wayside. By investing in 360MatchPro, you’ll always have the tools you need to drive matches to completion! Matching gifts fundraising is one of the best ways to boost your fundraising revenue while giving donors the chance to maximize their impact. Now that we’ve reviewed the top questions nonprofits have about matching gifts, your team is ready to start making this useful fundraising strategy work for your cause! Re:Charity’s Top Matching Gift Companies. Ready to find the right matching gift software partner? Check out our list of the top ranking matching gift tools for nonprofits. Double the Donation’s Matching Gift Database. Want to learn more about matching gift databases? Check out Double the Donation’s matching gift database guide to get started. Matching Gifts: The Expert’s Guide. Excited to become a matching gifts expert? Check out this in-depth guide to all things matching gifts before your next campaign. Thank you Mr. Cain. As someone trying to get a matching gifts program going I enjoyed your article.